In this class for new owners or for those that need a refresher, students will learn the anatomy of their serger, what each of the controls do, basic consumer maintenance, confident threading of the 4-thread overlock as well as 3-4 other configurations. Students will leave with the confidence to use their serger at home, plus stitch samples and a wealth of new knowledge. Please bring your machine, instruction manual, power cord, foot control, all accessories and bits that go with the machine, plus paper and pen for taking notes. Thread and fabric will be provided. 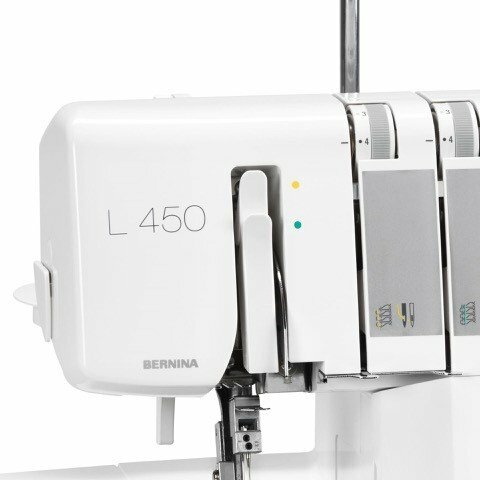 If you purchased your BERNINA serger from QQ, this class is free! For all others, the class fee is $45. Pre-registration is required! When you call in to sign up please tell us your machine model. Requirements: Please call 630.969.2205 to register and let us know which machine you are bringing to class. Thanks!